This post was sponsored by Bing Rewards. But as always, opinions are 100% my own. I don’t know about you, but I do at least one search a day — usually more than that. Whether I need to verify facts, find a product, even check the spelling of something. I am constantly entering something into that search bar. Bing Rewards is free and credits are earned when you search the web with Bing. Once you build up those credits, you can redeem them for popular gift cards, sweepstakes entries and charitable donations. 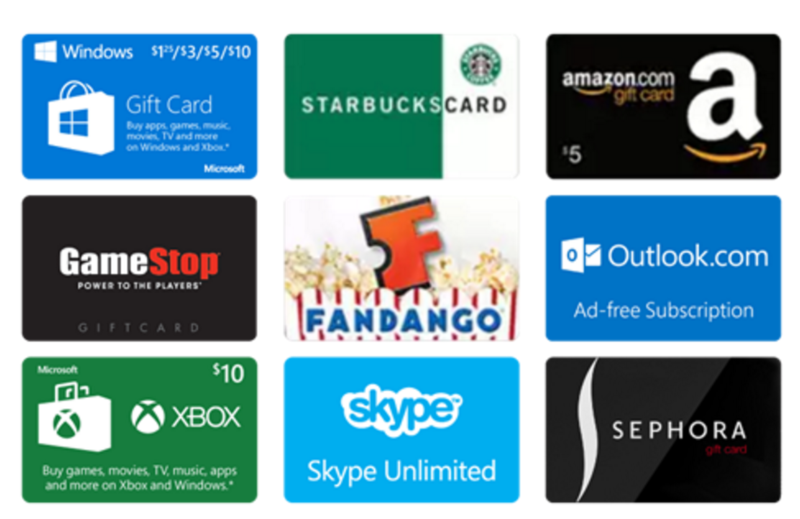 Plus, when you get started with them, you can get 20 BONUS CREDITS when you sign up for Bing Rewards with an existing or new Microsoft account – Outlook, Live, Skype, Hotmail or Xbox account. Get more credits by staying signed into your Microsoft account, searching with Bing every day and visiting your personal Bing Rewards dashboard where you can find every day ways to earn and explore with Bing. One of my favorites right now is that you can enter to win a Microsoft Surface Pro 4 — just 20 points for an entry. As a side note, I have had a lot of success in sweepstakes like that, just because not AS many people enter when you have to use points to enter. We have 3 iPads in the house, all of which were won through sweepstakes like this one. No joke! It is worth it to enter! The 256GB Surface Pro 4 with a sixth Gen Intel Core i5 processor runs quieter, cooler, and more efficiently than its predecessors. With the versatility of a laptop and a tablet, it’s the tablet that can replace your laptop—running Windows and Office as well as all your professional grade software. Leveraging advanced Microsoft technology, the Surface Pro 4 gives you the power to write directly on webpages with Surface Pen in the all-new Microsoft Edge browser and share your notes easily. Learn more about Bing Rewards at www.bingrewards.com.